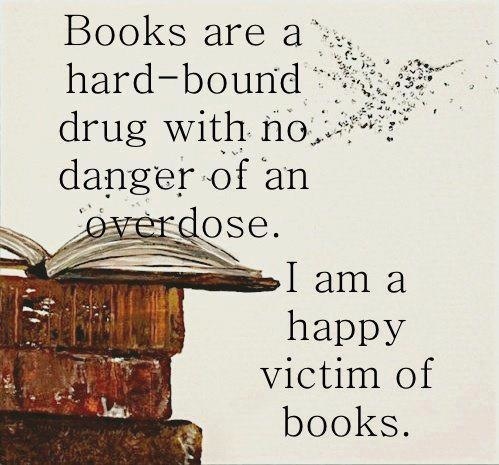 Fellow book junkies, we maybe need to roll this out on posters, t-shirts, mugs...what do you think? Meantime - I'm on a success roll. I will be watching the letter box like a hawk - I found a copy of John Wyndham's Seeds of Time on Ebay! Yay!! WAY cheaper than the collectors edition on Amazon for the mere sum of $250...which I thought, given the excesses of the past few weeks, was perhaps not somewhere I should go! I also reached a milestone overnight. I started this blog back in January, and last night rolled over 2000 hits. Thank you to everyone who is reading me. Thank you for all your comments. This is one of the most fun things I've done in ages, and a big part of it is the voices that you all contribute to the discussions. For those of you lurking on the fringes, don't be shy - sign up and follow, and have your say. That's a good idea - now to start the copyright search... Nothing is ever completely simple! Hello, Kaz! Congratulations on your 2000+ hits! I certainly love visiting your blog. It's so refreshing to read entries that show one's thoughts on books, as opposed to just seeing giveaways or blog tour promos. 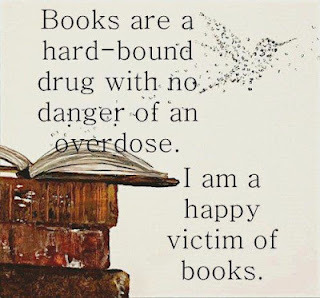 I have nothing against these, but I prefer to read people's personal views about the books they read. So here's to 2,000+ more posts in the coming days. Cheers, Kaz! Thanks Peter! I'm amazed how fast people have picked up my blog. I started it as something for me, but people are tuning in (she says...vintage phrase that one!) from all over the place. It's fascinating what piques people's interest.